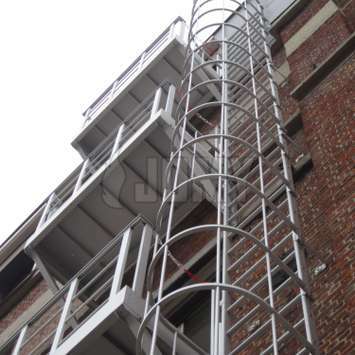 For a safe access to your escape ladder. 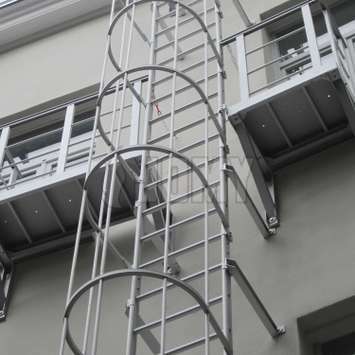 Aluminium balconies facilitate the route and provide a safe access when ladders are too far to reach, or when access from a window or the roof gutter is considered dangerous. 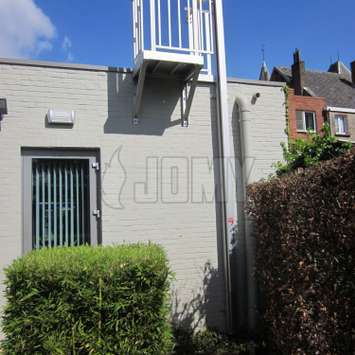 Lack of access to the JOMY ladder makes some ladders dangerous. 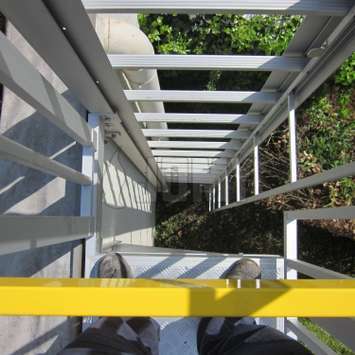 The lack of professionalism of some installers results in bad practices and reduced safety. 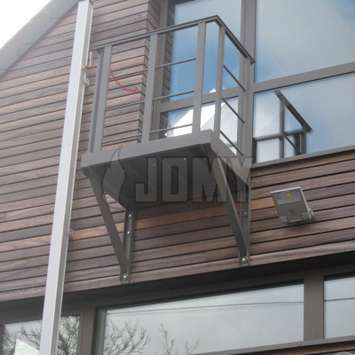 For this reason JOMY manufactures balconies to provide optimal access with heavy duty durable aluminum that will not rust. 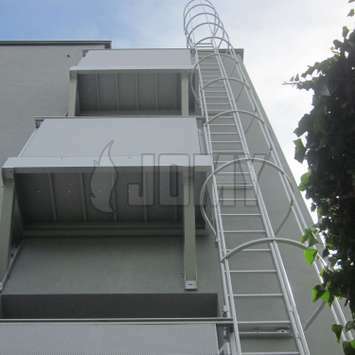 JOMY balconies are constructed from standard components and are adapted to the building in accordance with safety requirements. They are modular and bolted together like a meccano set. 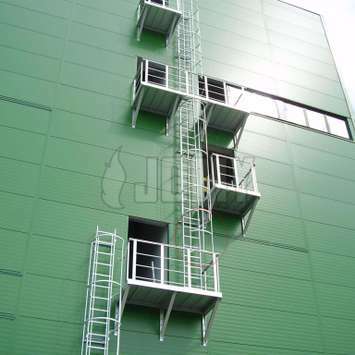 They are supplied ready-to-assemble and designed for transport. Suspended, mounted on brackets, suspended from façade. 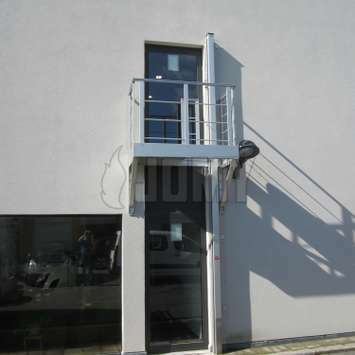 Balcony constructed from extruded anodized aluminum profiles with natural mat finishing, assembled using stainless steel fasteners. 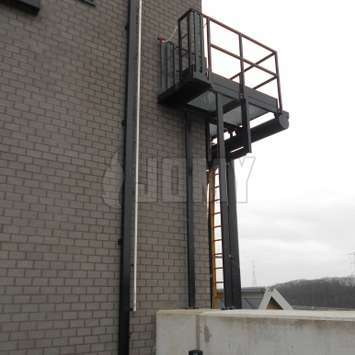 Factory polyester powder coating in any RAL color on request. 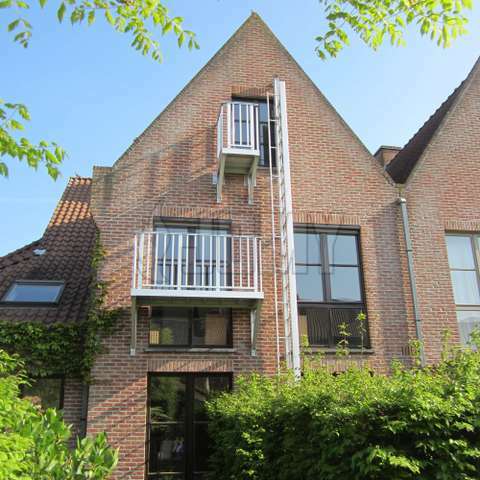 Designed to carry useful load of 102 lb/ft² . Available in standard sizes for easy ordering and fast delivery.